The Teenage Mutant Ninja Turtles are partnering with Ubisoft to celebrate their 25th Anniversary with a brand new game – Teenage Mutant Ninja Turtles: Smash-Up. 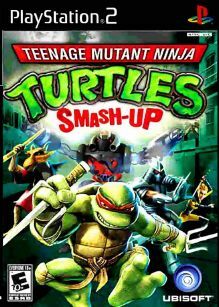 This is the first Ninja Turtles video game that is not directly tied to a movie, television show or comic book. The 4-player action brawler features a variety of battle modes including online multiplayer gameplay, minigames, and an original story mode for single player co-created with Peter Laird.